Marketing and PR Apprenticeships: help your team develop the skills to grow your business. We are delivering our apprenticeships to a wide range of local authorities and businesses from a diverse range of sectors including industrial, healthcare, life sciences, food and sports organisations. Aren't Apprenticeships just for young people? No. Apprenticeships are about upskilling and supporting your existing workforce, as well as for new starters. An organisation can put any staff member through an apprenticeship, provided they require significant new learning for their role. There are 300 apprenticeship standards so far approved by The Institute of Apprenticeships. Each standard is created by an Employer Trailblazer group, and has to be approved by the Government. Each standard sets out what must be covered, the length of time, the amount of funding available and the end assessment — which may be a qualification. What areas are covered in Apprenticeships? 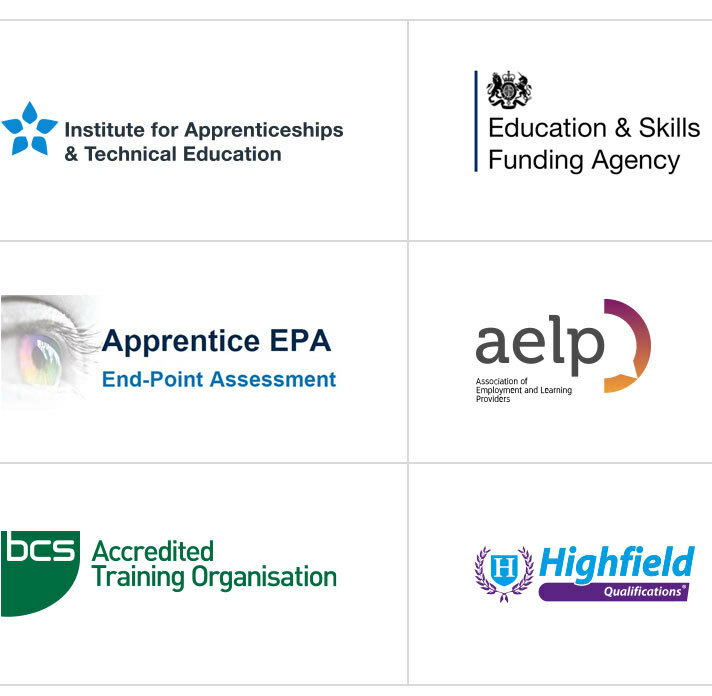 Each apprenticeship covers: core units focused on the fundamental role responsibilities; specific elective units that allow businesses to tailor apprenticeships to focus on key industry and business challenges; and an end-point assessment, carried out by an independent End Point Assessor. Details of the assessment are in the Apprenticeship Standards. What is the Levy and who will have to pay? The Apprenticeship Levy is paid by large companies (i.e. with a pay bill of over £3 million a year). The levy is 0.5% of their annual payroll. Levy funds remain in a large company’s National Apprenticeship Service Account for a maximum of 24 months. After that time, the money can be taken away by the government, so use it or lose it! For many companies, this 24 months will end in April 2019. Can an individual apply for an apprenticeship? No. Apprenticeships are organised by the employer, who chooses the Apprentice training company. For more information for individuals, please visit The Institute of Apprenticeships website. The College is approved by the Institute of Apprenticeships and is listed on the Register of Training Apprentice Providers (RoTAP). It is also member of the Association of Employment and Learning Providers (AELP). Please check the errors and re-submit the form.